Line 9-inch square or 13x9-inch pan with foil, extending foil over sides of pan; butter foil. In 3-quart saucepan, cook sugar, butter and milk over medium heat, stirring constantly, until mixture comes to a boil; boil 5 minutes, stirring constantly. Remove from heat. Stir in marshmallow creme and chocolate chips until smooth. Stir in walnuts and vanilla. Stir in marshmallows (marshmallows should not melt completely). Quickly spread in pan. Cool completely, about 30 minutes. Refrigerate until firm, about 1 hour. 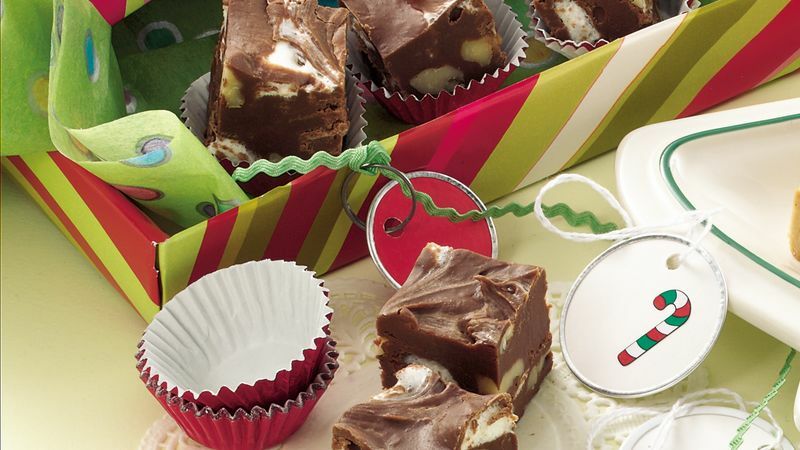 Using foil, lift fudge from pan; remove foil from fudge. With large knife, cut into squares. Store in refrigerator. Make this fudge about a week ahead and store it in the refrigerator.